Helps to renew your mind and change your thought life, establishing permanent change in your entire manner of life and conduct (Joshua 1:8; Psalm 1:2-3). Follows the example of the Lord Jesus Christ (Matthew 4:1-10). Equips you to use Scripture in everyday situations (for example: Acts 2:16-21, 25-28; 3:22-23; 13:40-41, 47). Allows God’s Word to be the foundation of your life (Deuteronomy 6:6-8). Provides guidance (Psalm 119:24, 105). Develops confidence in witnessing (Isaiah 55:11). Establishes a fountain to conquer temptation (for example: Matthew 4:1-10) and to gain victory over sin (Psalm 119:9-11). Becomes an integral part of your prayer life (for example: Acts 4:24-31). Enables you to teach, counsel, encourage, and build up others in the Body of Christ (Colossians 3:16). Provides a basis for meditation On God’s Word (Psalm 119:15-16, 97). 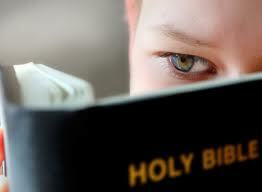 Makes the Word of God readily available for comfort (Psalm 119:52). Keeps God’s Word ready to refresh or revive (Psalm 119:93). Provides stability in your spiritual life (Psalm 37:31; 40:8). Gives you the truth so that, at times of need, you are ready to answer others concerning your source of hope (Proverbs 22:17-21; 1 Peter 3:15). This material is excerpted from the Biblical Counseling Foundation’s 480 page in depth discipleship manual entitled, SelfConfrontation (1991 edition).